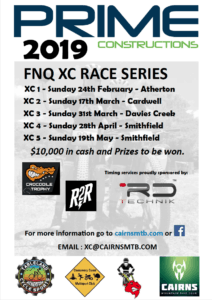 The Prime Constructions FNQ XC Race Series dates are up and we’re excited to have another year of XC events backed by our great partners and sponsors, Prime Constructions, Crocodile Trophy, R2R, RD Technik, Cassowary Coast Multisport Club, Tableland Cycles Sports, Mareeba Mountain Goats Mountain Bike Club. • The format for each race will be XCO (Cross Country Olympic) with course distances and times as close to regulations as practical. • The series will consist of 5 rounds, with points awarded for each round. The winner will be the highest points after 5 rounds. The following race categories will be used for the 2019 series. These are a change to previous years and in line with the latest MTBA technical regulations Ages for all categories will be determined as at 31st May 2019. This will ensure you can race the same category for all races in the series. 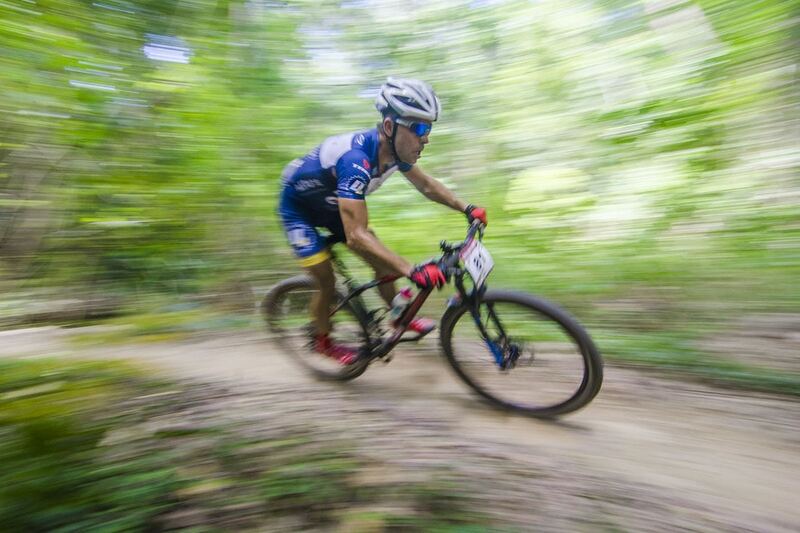 Click here for Race Categories. 1. Category Results – These are the results for each category and what will be used to determine podiums and points for the series. 3. Category Results with Lap Times – These are the category results with additional columns to show each lap time. 4. Overall Results with Lap Times – These are the overall results with additional columns to show each lap time. 5. Individual Lap Records by Category – These are individual lap records sorted in the order of category results. 6. Individual Lab Records by Surname – These are individual lap records sorted alphabetically by surname. Series Results will be published separately and updated prior to the start of each round.